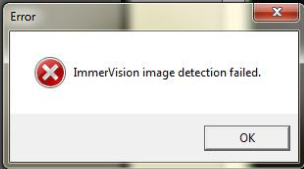 An error message "ImmerVision image detection failed" will pop out, after configuring [Lens Setting] in Mainconsole and the selecting PTZ mode, quad mode or perimeter mode by right clicking in one of the live view image. 1. This is a limitation of ImmerVision SDK, in which you have to fit a circular angle lens that can function with ImmerVision Lens. 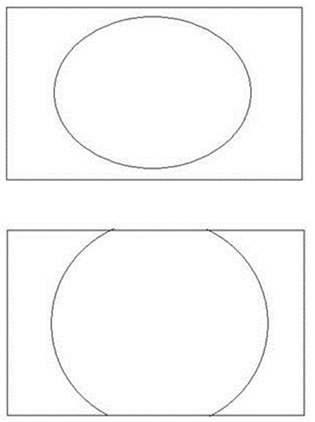 For example, the picture below is not fully circular. The top and bottom of the picture have been cut off. 2. You have supported fisheye cameras, but you have chosen to use "ImmerVision Lens" instead of "Generic Dewarp" in [Lens Setting]. Note that NVRmini 2, Titan NVR and NVRsolo currently do not support "Generic Dewarp" fuction for fisheye cameras. We'll have this function soon. 1. 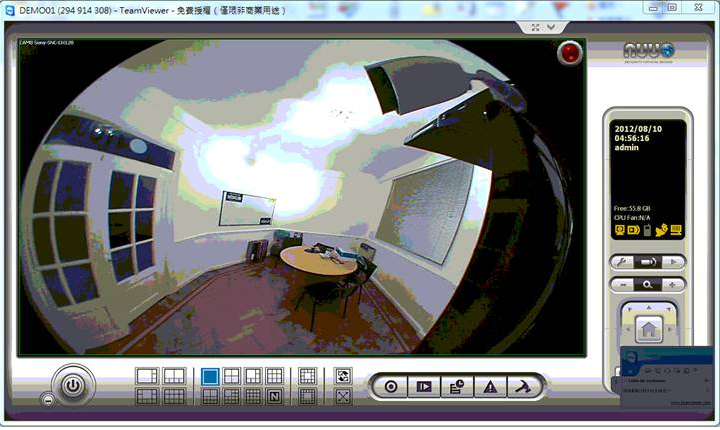 Adjust the images to be more circular using ImmerVision Lens. Eg. : first image is better than the second one. What is the difference between IMV1-1/3 and Generic Dewarp?